(anon). Pilot Training Manual for the Mustang F-51D. Flight Handbook. Egan. Flying Books. 1989. 4to. Soft cover. Facsimile edition. Illustrated. Fine copy (owner blind stamp). (anon). Plymouth Blitz. The Story of the Raids. Eastleigh. Sir Joseph Causton & Sons. nd. 62 pps. 4to. Soft cover. First edition. Illustrated. Folding map in rear. Fine copy in original glassine wrapper (small chips to edges). (anon). POW. Study of Former Prisoners of War. Photo available. Washington U.S. Government Printing Office. 1980. 181 pps. 4to. Soft cover. First edition. Important reference work. Fine copy. (anon). Report of the Chief of Staff United States Air Force to the Secretary of the Air Force. np. np. June 30, 1948. 112 pps. 4to. Soft cover. First edition. Illustrated. Fine copy. (anon). Report of the Warren Commission on the Assassination of President Kennedy. New York. McGraw-Hill Co. 1964. 726 pps. Octavo. Hardcover. Illustrated. Near fine copy (very light shelf wear). (anon). Report of the Warren Commission on the Assassination of President Kennedy. Photo available. New York. McGraw-Hill Co. 1964. 726 pps. Octavo. Hardcover. Stated first edition. Illustrated. Important reference work. Fine copy in fine dust jacket (in mylar). (anon). Reporting World War II. American Journalism. 1938-1946. np. Library of America. 2001. 875 pps. Octavo. Soft cover. Reprint. Illustrated. Fine copy. (anon). 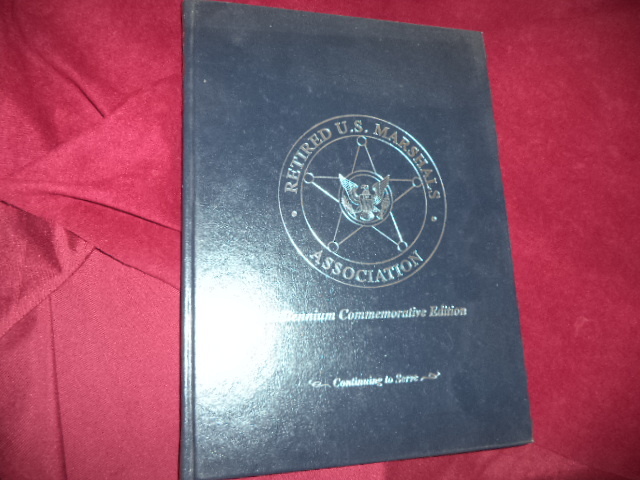 Retired U.S. Marshalls Association. Millennium History. Commemorative Edition. Continuing to Serve. Photo available. Paducah. Turner Pub. 2001. 4to. Hardcover. Leather bound. First edition. Illustrated. Scarce. Fine copy. (anon). Russia's Top Guns. 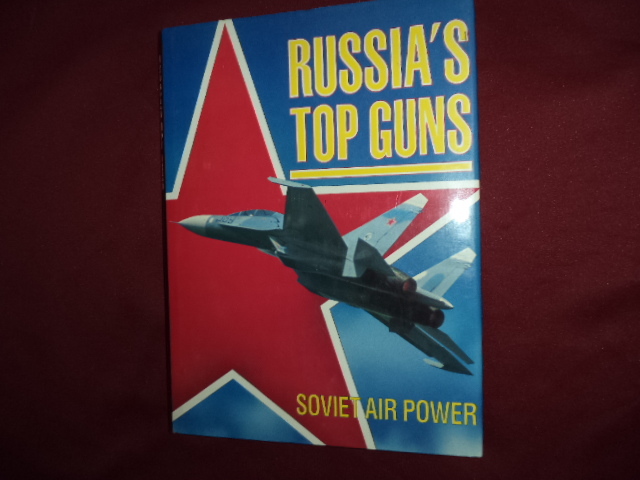 Soviet Air Power. Photo available. New York. Gallery Books. 1990. 4to. Hardcover. First edition. Illustrated in black, white and color. Important reference work. Fine copy in fine dust jacket (in mylar). (anon). 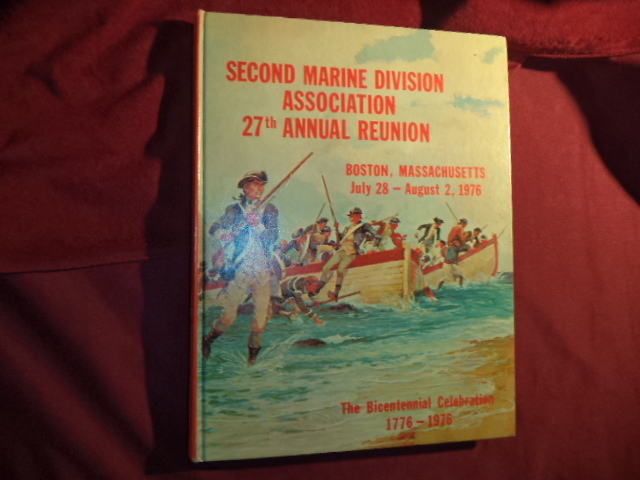 Second Marine Division Association 27th Annual Reunion. The Bicentennial Celebration. 1776-1976. Photo available. Boston. Second Marine Division Assoc. 1976. 330 pps. 4to. Decorated hard cover. First edition. Illustrated. Important reference work. Fine copy. (anon). Secret Kehlstein. Adventure Eagle's Nest. Special Edition. Berchtesgaden. Verlag Plank. 4to. Soft cover. First edition. Illustrated in black, white and color. Fine copy. (anon). 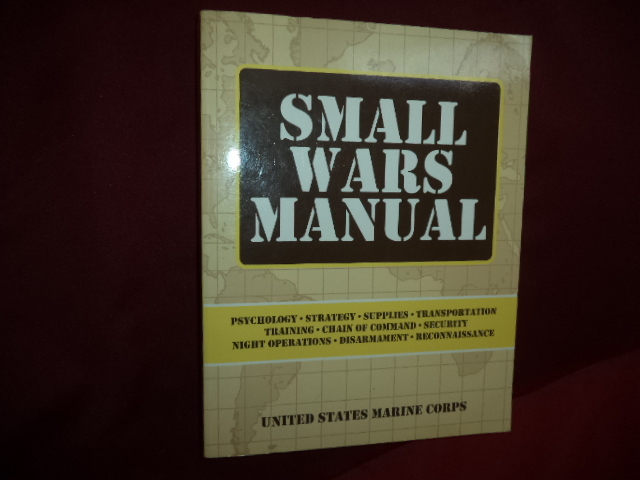 Small Wars Manual. Psychology, Strategy, Supplies, Transportation, Training, Chain of Command, Security, Night Operations, Disarmament, Reconnaissance. Photo available. New York. Skyhorse. 2009. Octavo. Soft cover. First edition thus. Illustrated. Important reference work. Fine copy (mark on bottom edge). (anon). 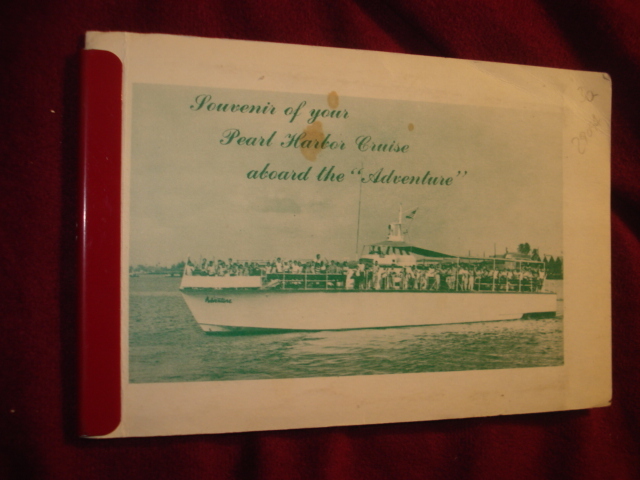 Souvenir of Your Pearl Harbor Cruise Aboard the "Adventure". Photo available. np. np. nd. Octavo. Soft cover. Small collection of 10 photographs of the destruction at pearl harbor. Fine copy. (anon). 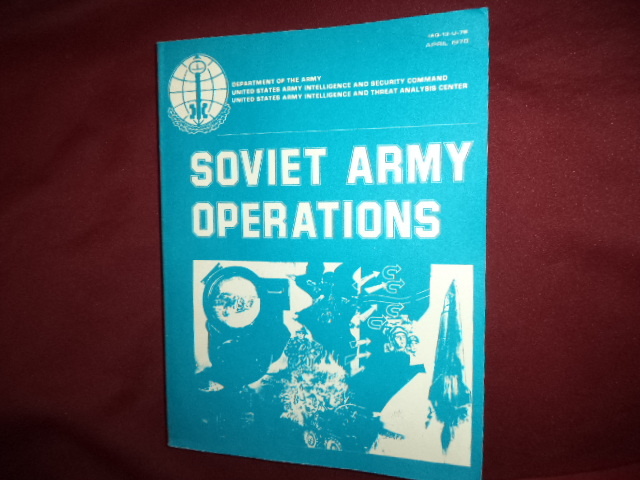 Soviet Army Operations. Photo available. Washington. Department of the Army. 1978. 4to. Soft cover. Reprint. Illustrated. Important reference work. Folding plates. Fine copy. (anon). Stalin's Slave Camps. An Indictment of Modern Slavery. Boston. Beacon. 1952. Octavo. Hard cover. First edition. 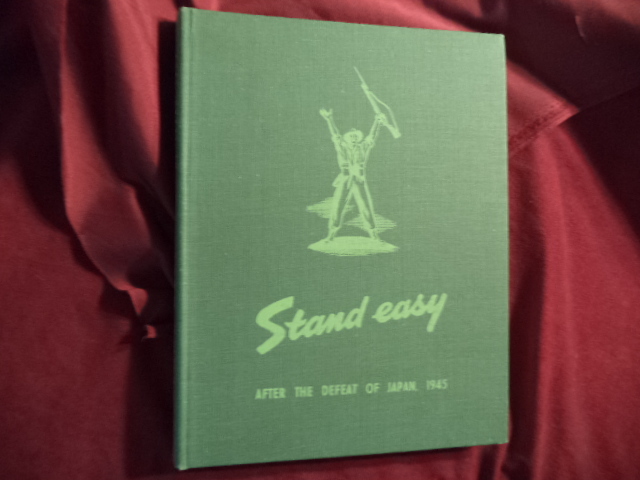 Fine copy in very good (light shelf wear, edge chips) dust jacket (in mylar). (anon). Stand Easy. Photo available. Sydney. The Australian Military Forces. 1945. 4to. Hard cover. First edition. Illustrated. Fine copy. (anon). Sunday Punch in Normandy. The Tactical Use of Heavy Bombardment in the Normandy Invasion. Wings at War. Commemorative Edition. Photo available. Washington. Center for Air Force History. 1992. Octavo. Soft cover. First edition. Illustrated in black, white and color. Fine copy. (anon). 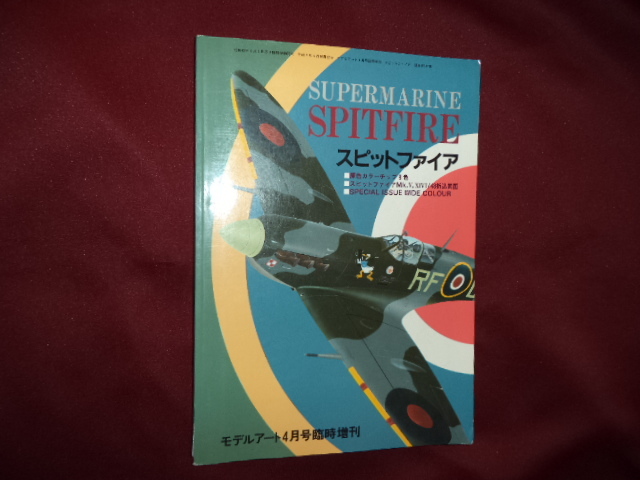 Supermarine Spitfire. Special Issue Wide Colour (in Japanese). Photo available. Tokyo. Model Art Co. nd. Octavo. Soft cover. First edition. Illustrated in black, white and color. Fine copy. (anon). Survival. Field Manual No. 21-76. Washington. Department of the Army. 1986. Octavo. Soft cover. First edition. Illustrated. Near fine copy (very light shelf wear). (anon). Teaching about the Holocaust. A Resource Book for Educators. Washington. Holocaust Memorial Museum. 2001. 4to. Soft cover. First edition. Illustrated. Fine copy. (anon). Terrorist Hunter. The Extraordinary Story of a Woman Who Went Undercover to Infiltrate the Radical Islamic Groups Operating in America. Photo available. New York. HarperCollins. 2003. Octavo. Hard cover. First edition. Fine copy in fine dust jacket (in mylar). (anon). The AAF in Northwest Africa. An Account of the Twelfth Air Force in the Northwest African Landings and the Battle for Tunisia. Wings at War. Commemorative Edition. Photo available. Washington. Center for Air Force History. 1992. Octavo. Soft cover. First edition. Illustrated in black, white and color. Fine copy. (anon). The AAF in the Invasion of Southern France. Wings at War. Commemorative Edition. Photo available. Washington. Center for Air Force History. 1992. Octavo. Soft cover. First edition. Illustrated in black, white and color. Fine copy. (anon). The Air Force Communications Command: Providing the Reins of Command, 1938-1981. An Illustrated History. Photo available. np. Self published. c. 1983. 231 pps. 4to. Hardcover. First edition. Illustrated. Important reference work. Letter from Dept. of Air Force laid in. Fine copy. (anon). 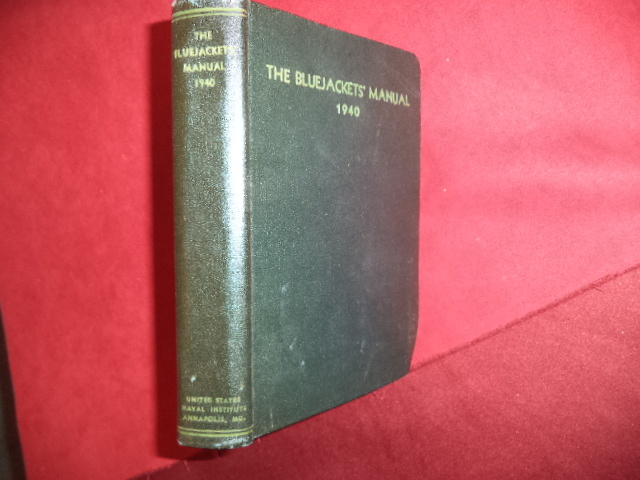 The Bluejacket's Manual. 1940. United States Navy. Photo available. Annapolis. United States Naval Institute. 1940. 784 pps. Octavo. Hardcover. Tenth edition. Illustrated. Important reference work. Fine (owner name on end paper) copy.